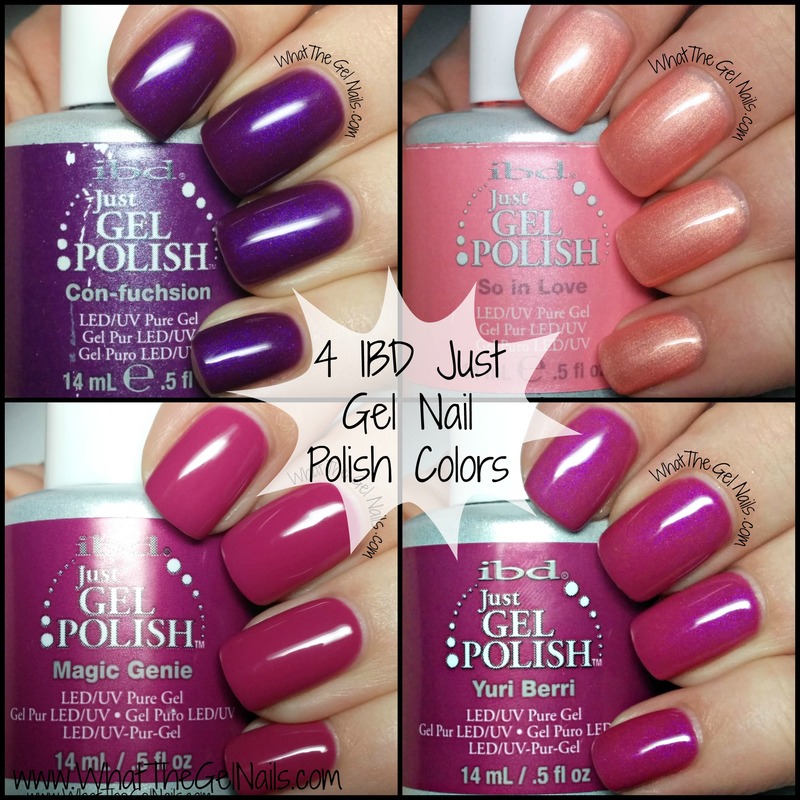 More IBD Just Gel swatches. Woo! 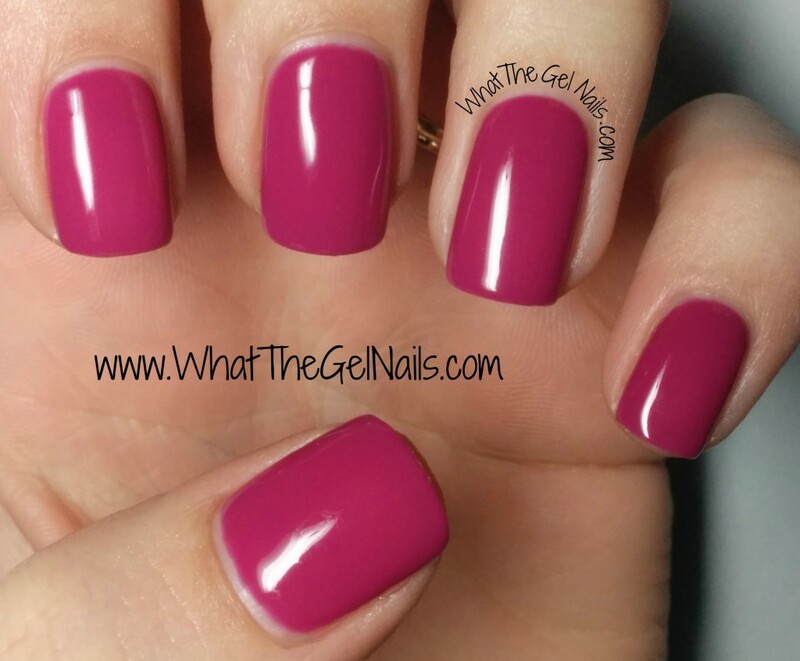 I have some great colors to share today, including some of my all time favorite gel nail polish colors. 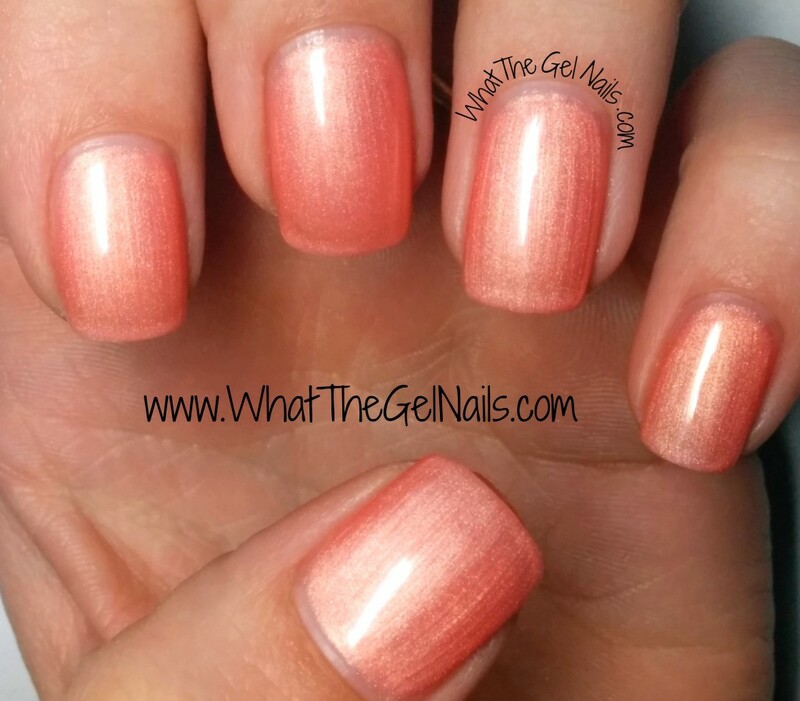 This was one of the first three gel polish colors that I ever owned so it holds a special place in my heart. 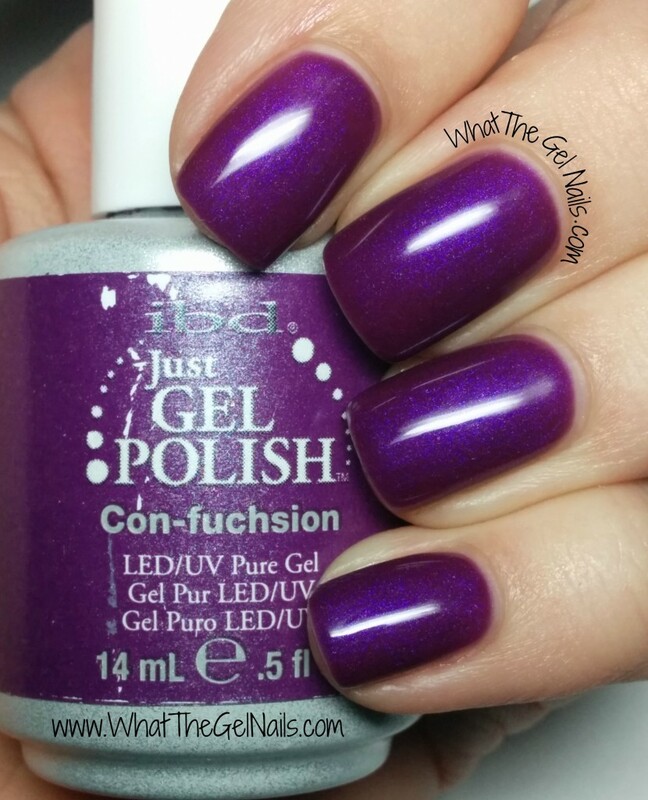 Con-fuchsion is a gorgeous purple with a blue shimmer. Seriously, the shimmer is so beautiful! I can’t say enough about how beautiful this color is. 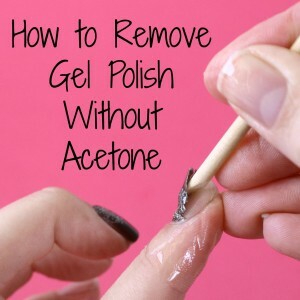 It takes 3 coats for complete coverage and I think it’s great for every season. This color is a beautiful subtle pink. It looks really pink and pigmented on my swatch stick, but once I paint it on my nails, it blends right in and looks much more like a neutral. It has a yellow undertone, but the overall color is definitely pink. I have painted this color on several of my friends and sisters and on all of them this color blends in to almost a neutral. 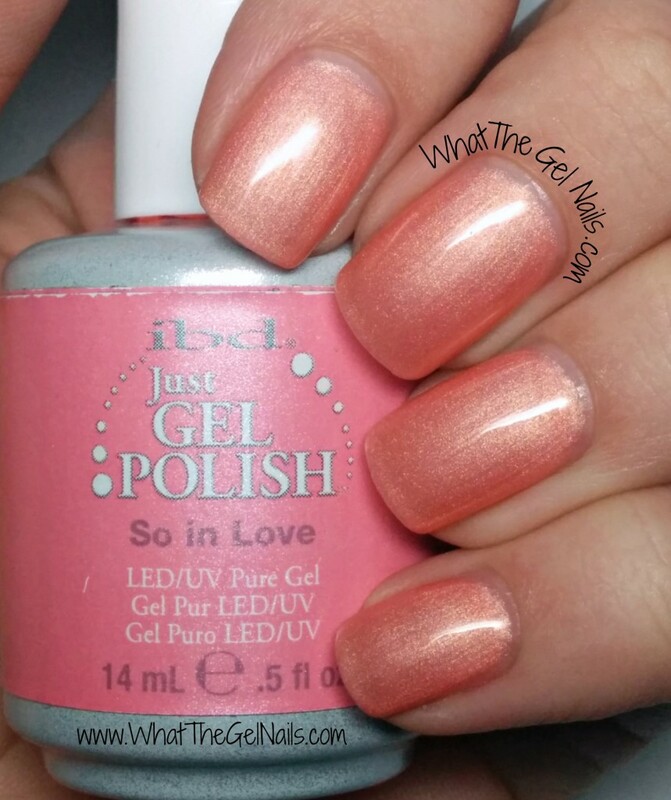 So in Love has a frost finish which means every brush stroke shows. I did 3 coats, but I wish I had done a 4th very thin coat. It looks a bit funny to me at the end of the nail and I think a 4th coat would have helped with that. This color is a beautiful pinkish purple cream. It took 3 coats for nice and even opacity. I love this color so much! I think I might wear it at Valentine’s Day for an unexpected color for the Holiday. I mean, it’s not that unexpected, Magic Genie still very much has a pink tone. But, it is slightly unexpected and I like that. *Update: I did wear it for my 2015 Valentine’s Day Mani. It was awesome! Yuri Berri is an awesome shimmer. It is pretty much the exact same color as Magic Genie, but it is a shimmer instead of a cream. It is pretty sheer like a handful of IBD Just Gel colors. 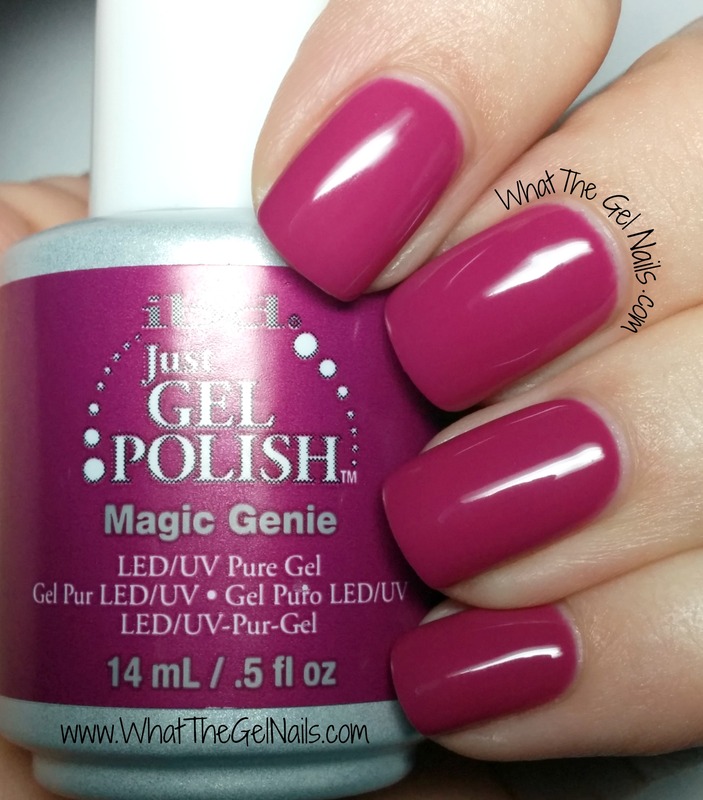 I used one coat of Magic Genie on my ring finger and pinky beneath the Yuri Berri and it really helped with the sheerness. 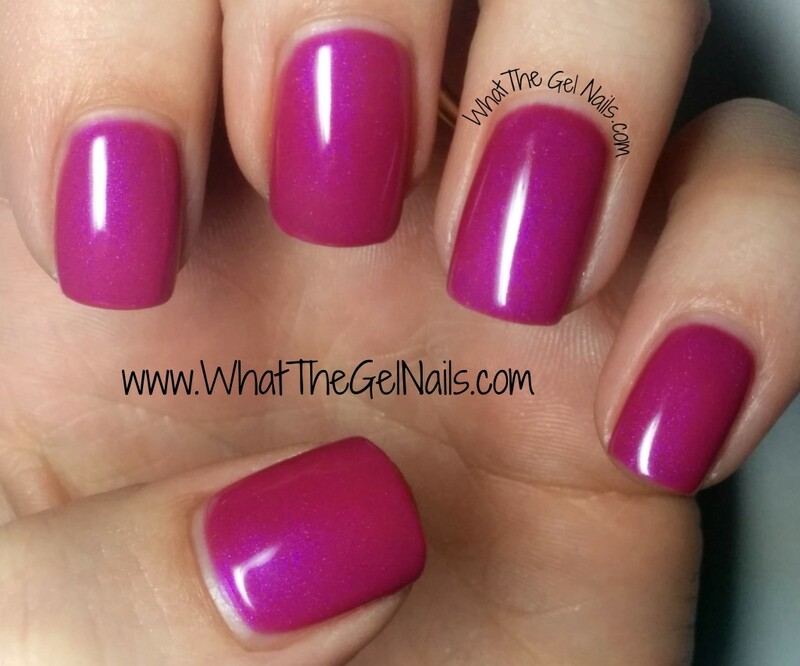 I did one coat Magic Genie and then two coats of Yuri Berri on those fingers. They look almost exactly like the other nails, but those needed four coats of Yuri Berri and honestly, a fifth coat probably would have been better. 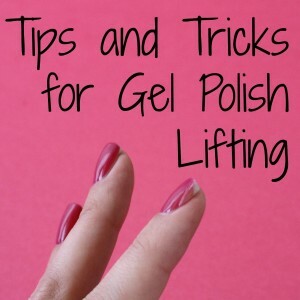 I love IBD Just Gel colors even though most colors need 3 coats and many colors need more than that. I love it because of the affordability! I would rather be able to buy more colors, but have to use more coats, than buy fewer colors and need fewer coats. Anyway, that’s my philosophy. Plus, I have found that a base color (or undies) really help with a lot of the sheer IBD colors. 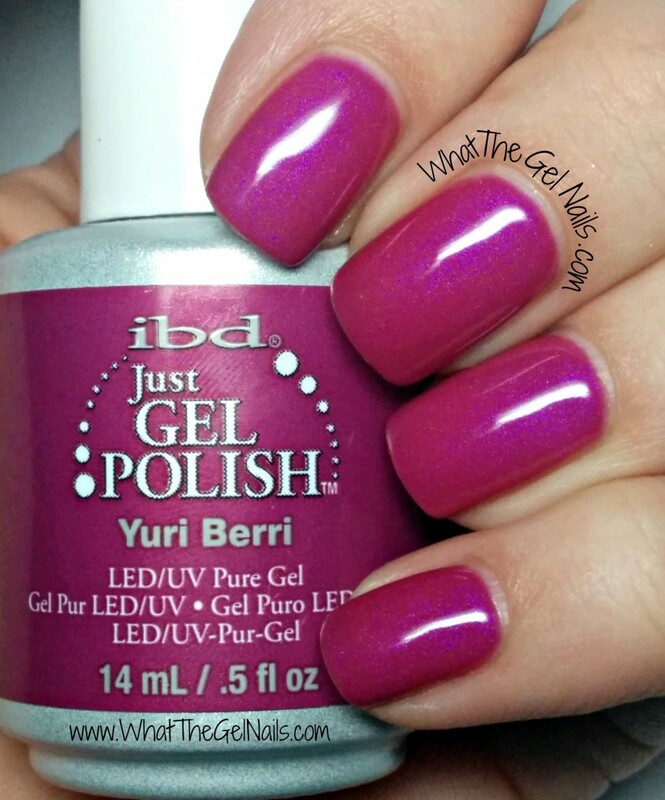 See more IBD swatches in my Swatch Gallery. Hi, i love the pictures of the nails, and the colors are definitely beautiful! 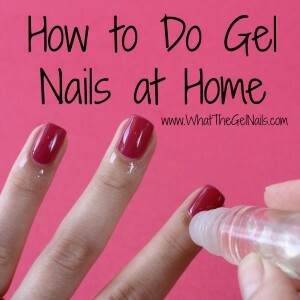 Where can I buy the IBM gel nail Polish?